Kevin Jerome Gilyard, often know by his stage name Kevin Gates represents himself as an American rapper and singer. Kevin has also made his identity as an entrepreneur. He is considered as one of the prominent Hip hop artists. With his rap, he has been able to gain fans all over the world. Born on February 5, 1986, Kevin Gates started to listen to hip-hop music since his childhood days. Born in New Orleans, Gates was raised in Baton Rouge, Louisiana. During his young age, he used to listen to rappers such as Master P and Hot Boy$. Inspired by these rappers Gates started to rap at the age of 14. Later he started to rap along with Boosie Badazz and Webbie. Growing up, Gates started to appear on various local stages where he presented his rap and was highly appreciated. Having a keen interest in rap music, he used to observe beats used by a various artist very carefully and used to try to create his own beat. 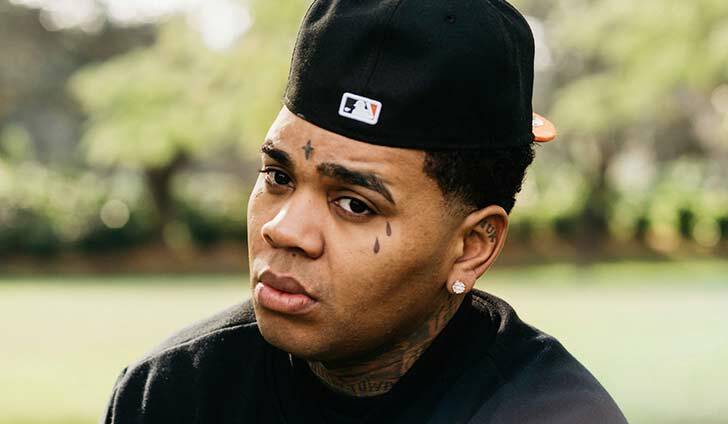 Moving to his career, Kevin Gates started rhyming in 2005 and at the same time started to work with fellow Webbie and Lil Boosie and composed various music with them. His first hit was ‘Get in the Way’ which was released in 2008. Through his first hit, he was able to gain public attention. Later on, he and Boosie were jailed but Gates returned to music and started to work with beats in 2011. He teamed up with Lil Wayne and started to work under Young Money Entertainment’s management wing. In early 2013, his mixtape The Luca Brasi Story was released and it was named as “easily the best rap-related thing” in February of the same year by Spin Magazine. In 2013, Kevin Gates’s street album Stranger Than Fiction was released where Wiz Khalifa and Juicy J made a guest appearance. His street album was supported by “4:30”. Stranger Than Fiction was placed in No. 37 of the Billboard 200 with 8400 copies sold in the first week. Gate’s song “Wylin” was ranked at number 40 by Rolling Stone on their list ‘100 Best Songs of 2103’. He released his second street album titled By Any Means on March 17, 2014, which debuted was placed in No `17 on the Billboard 200 with 17000 copies sold in the United States only. Gates released his single titled “Kno One” in 2014 and later on this single complied in his debut studio album Isah, which was name after his daughter name. Isah was released on January 29, 2016. Kevin Gates was pulled to controversy after his video footage, where he was kicking a woman, released in 2015. The woman filed a case against him in 2015. Digging his personal life, he married his longtime girlfriend Dreka Haynes. Before marrying Dreka, he has mentioned that he had a relationship with his cousin, with whom he revealed that he had a sexual relationship as well. Through his musical career, he has earned net worth of $1million. More update on this rapper can be found on various social networking sites such as facebook, twitter, Instagram and his own official website.